Love ‘em or hate ‘em taxes are unavoidable for working Americans. With tax day right around the corner, there’s no doubt that many people are scrambling to file in time. But there’s probably a lot about taxes that you didn’t know. That’s why we’ve complied a fun list of cool tax season facts. So go ahead and put your calculator down, you deserve to take a quick break with facts that are sure to surprise and quite possibly enlighten you. Derived from the Latin word “Taxo,” which means “I estimate” it’s all starting to make sense now. It’s no wonder so many Americans round off the numbers and estimate when doing their taxes. The word itself encourages it! You’ve read through it all, right? If you have, congrats! But the truth is, most people have not read the whole thing. There are literally more words in the US tax code than in the Bible. And there’s really no need unless you are a professional accountant or CPA. It would take a speed reader nearly 1200 hours to read through the entire document. Yet, a century ago, the document was a mere 400 pages long. Yup, it’s true. Uncle Sam is on your side when it comes to your health. That’s why any programs or smoking cessation products can be written off. Similarly, if you have a life threatening medical condition such as heart disease or high blood pressure, you can write off diet programs, fitness classes and gym memberships. Forget the tax season headaches, here’s to your heath! Here’s some good news! You can stop biting your nails after filing because only a tiny percentage of returns ever get questioned. Even so, those that are audited are done via mail, which means a person from the IRS doesn’t knock on your door with a briefcase (and tax code mentioned above!) ready to take you down. You’re most likely to get audited if you are a high earner or report no income. The government started withholding taxes from paychecks during World War II, which is why the IRS was created. They needed a system of support to keep all the taxes and codes in line. Of course the United States isn’t the only government with taxes and taxes date back thousands of years. The first known taxes were nearly 5,000 years ago in Mesopotamia. Back then earnings were recorded on clay and taxes were paid in livestock. The Rosetta Stone, a significant artifact and key to Egyptian hieroglyphics is almost entirely about taxes. Who knew?! Okay, ewwww! This might be helpful when you’re thinking about your taxes. After all, at least your pee isn’t taxed, right? But in the 1st century a Roman emperor taxed urine so he could collect it for the ammonia. From there it was used to tan hides and launder cloth. What a difference a few centuries make, right? The IRS has more employees than the FBI. But it makes sense, because the IRS receives over 130 million tax returns each year. Americans spend around $35 billion dollars and over 6 billion hours preparing their taxes each year. In 17th Century England, each one of the windows in your house were taxed. This horrible law was repealed in the 1800s because people were literally getting sick from the tax. They were getting diseases from the lack of air due to limited windows in their homes. Talk about an outcome with a breath of fresh air! Televisions in England used to be taxed, too. Color TVs had a higher tax than black and white ones. And if a blind person had a television set they received a tax deduction. If you think that’s bizarre, wait until you hear this one! Several European nations have a tax on cow farts. Yup! It’s a huge deal because methane gas is a huge contributor to the greenhouse effect and climate change. Peeeew! With the highest corporate income tax in the world, it goes without saying that New York City is an extremely expensive place to live. Strangely enough, in 1982, the Big Apple’s Madison Square Garden was granted a 10-year property tax abatement. Due to an accounting error, the abatement endured. The permanent cut has cost NYC approximately $200 million in tax revenue. The Great Depression was no doubt a difficult time for many Americans. Luckily, the government helped out by collecting only a fraction of a penny on certain sales of low-priced items. To avoid being overcharged, tokens (worth around 1/10 of a penny) were used. Now that we’ve distracted you with these fun facts, you could go back to filing, or spend your refund on our collection of all over print apparel. We have plenty of ways to update your wardrobe this spring! Trying to figure out what to do with your big tax refund? 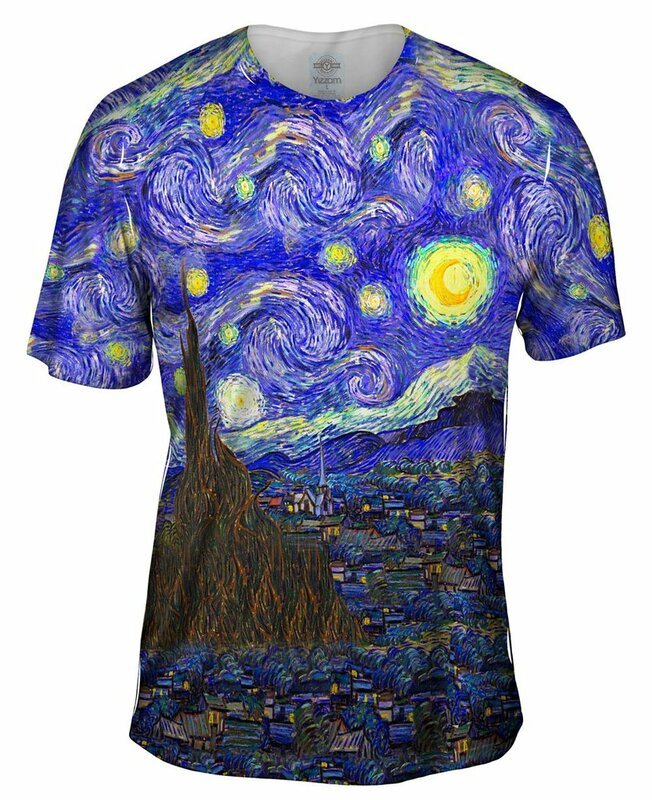 How about spend it on some fine art…. 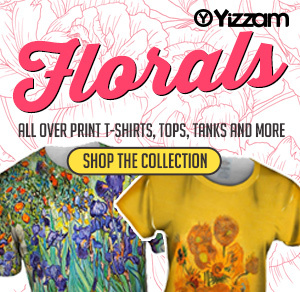 Get 20% off when you purchase any art t-shirts, tank tops, leggings, and more at Yizzam. 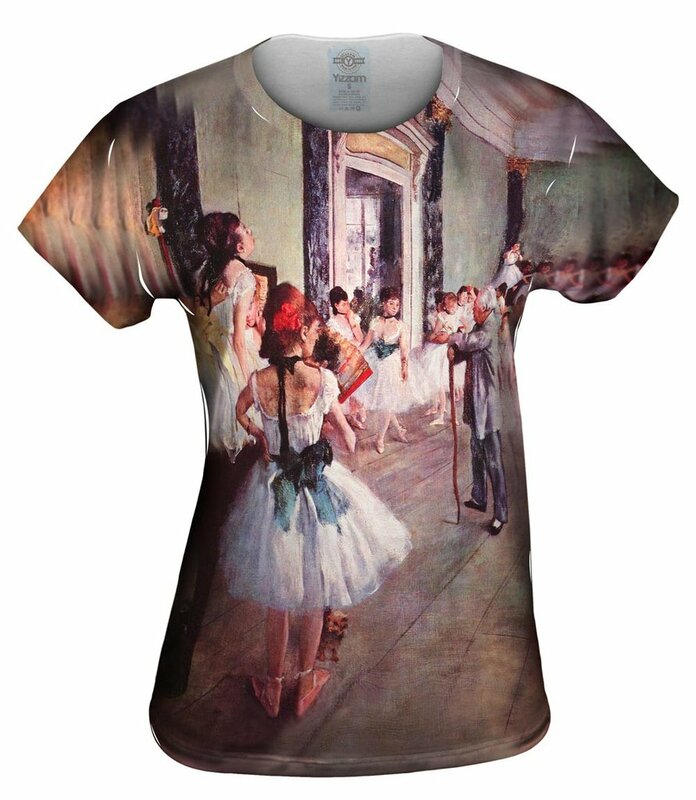 Use code TAX20 at checkout!